Analysis of Particles, Contaminants and Inclusions. Detect Wrong Composition, Identify Contamination. At home, particles are a nuisance that can be easily removed with a vacuum cleaner. In industrial applications however, a micro particle can quickly cost a lot of money in the long run. Specks of dust can ruin a whole painting job and reduce the durability of sealed mechanical and electronic components, which is why cleanrooms and air filters play a crucial role in avoiding contaminations. A more recent particle problem are microplastics, which have been introduced into the environment for decades and are now starting to resurface in our food and drinking water. 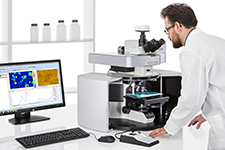 FTIR and Raman microscopy offer similar yet complementary approaches to the analysis of organic and inorganic particles. They are used to chemically identify contaminants and create chemical maps showing particle distribution. The advantage of FTIR is the out-of-the-box capability to investigate particles on any substrate, surface, filter and sample, mostly without the need for an elaborate sample preparation. Raman however can characterize a much broader range of inorganic materials and allows to spatially resolve fibers and particles in the nanometer range. 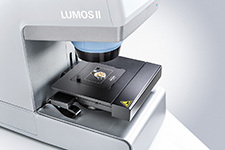 Both techniques have distinct benefits and it is often the application that decides if FTIR, Raman or both are used. Both techniques can be easily automated and the right software can help to achieve quick results. 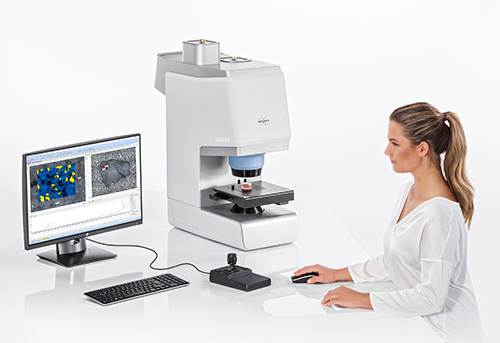 Read more in our Product Note of Automated Particle Analysis M181. The following application examples give an overview over the vast potential of micro vibrational spectroscopy! Polyurethanes are used to manufacture high-resilience foam seatings, high performance adhesives, surface coatings and surface sealants, synthetic fibers, carpet underlay, hard-plastic parts, hoses and tubings. During processing, inclusions and contaminations in the material may lead to flaws in quality and thus the creation of predetermined breaking points. 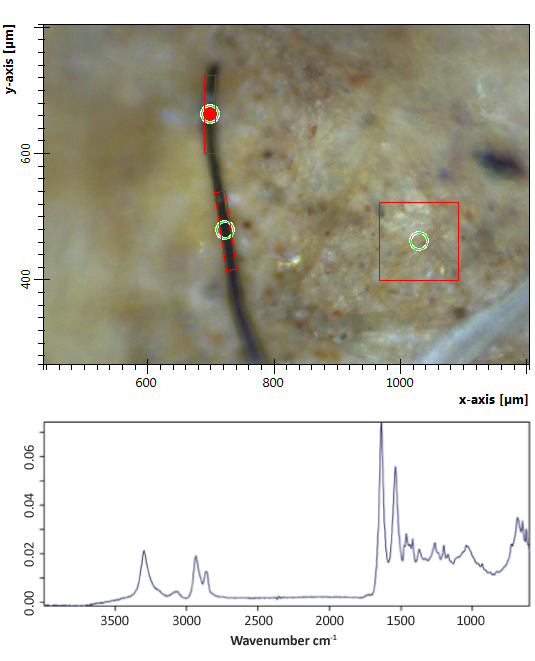 In this example, a PU tubing was investigated by using FTIR-ATR microscopy. In the visual image (see below) the inclusions in the otherwise transparent polymeric matrix are clearly visible. By using knife-edge apertures, the measurement spot was placed so accurately that the PU-matrix did not interfere with the measurement at all. The small white spots were readily identified as polyamide particles while the large “fiber-like” contamination was more elusive. By spectra comparison it was possible to determine the general components to be a fatty acid ester, as well as an unspecified sulfate and carbonate. Such analyses may yield important clues to the origin of contaminations and have been proven an effective tool in troubleshooting. Read more in our Product Note MIC411. Sometimes it is not possible to isolate the particles and contaminants and prepare them for a traditional analysis. An ideal showcase for the ability of ATR-FTIR to analyze particles on any substrate and filter material is the study of microplastic contamination. There are various extraction techniques to separate organic and inorganic material found in lakes, oceans and rivers by density, but it is also possible to take a sample from a river sediment and analyze it directly. Above a long dark fiber is shown between inorganic sediment. The red squares on the left are sizes of the corresponding knife-edge apertures that were fitted to only measure the fiber. By doing this, high quality spectra of the plastic material were obtained despite beeing embedded in sand. Want to know more about the Analysis of microplastics by FTIR? Although FTIR has many benefits in micro analysis, Raman stands out in one respect: the completely noninvaisve character of Raman spectroscopy. Sometimes however, the investigated samples are so delicate, that physical contact may cause damage. In those cases, like the manufacturing of semiconductor wafers and circuit boards, particle contaminants have been a long standing problem. The image below shows the Raman spectra collected from two particles found on recently manufactured circuit board. 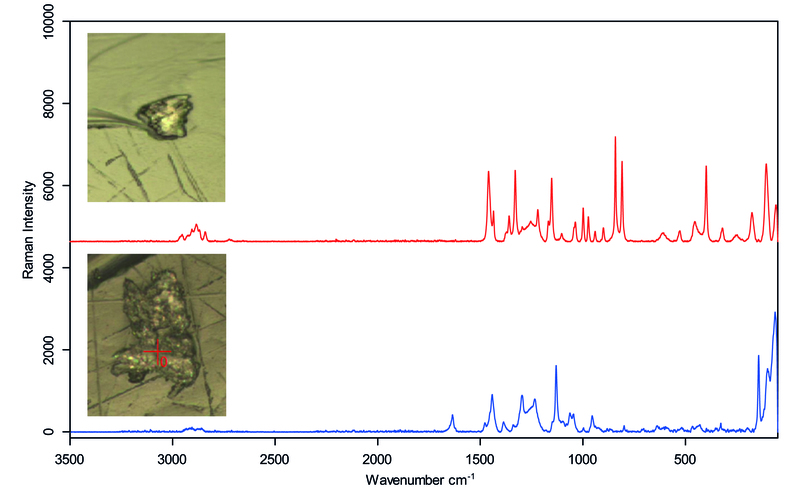 The data was collected with 785 nm laser excitation at 4 cm-1 spectral resolution for one minute utilizing the confocal mode of the SENTERRA II Raman microscope with a 50 x 0.75 NA objective. Both samples showed a high amount of fluorescence, that was removed by using Bruker’s patented concave baseline correction function. 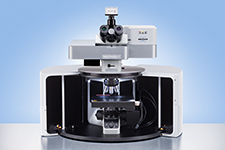 Raman can do certain things, that FTIR cannot – and vice versa. One of those things is the ability to measure confocally, which means the measurement takes place behind or within an optically transparent material. In the present case, a sealed pharmaceutical ampoule was investigated. Inspection by microscope quickly showed a small floating inclusion (see below) that was chemically analyzed by Raman microscopy. After the Raman spectra identified the suspended particle as cotton the contamination source was elucidated. The particle most likely found its way into the ampoule by air, before filling and sealing. Another application for confocal Raman microscopy is the investigation of laminated screen panels and displays, where structures and defects can be easily analyzed between layers without damaging the sample. You want to know more about confocal Raman microscopy?